This has been building for quite a while, but it’s here nonetheless. 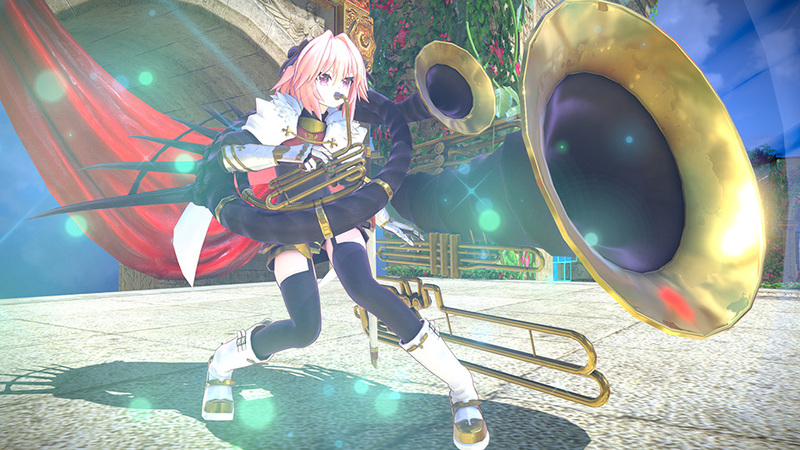 The third chapter of a story that kicked off back in the PSP days, Fate/Extella Link, finally has a North American release date. You’ll be able to hop in and try out all the new servants in action when the game launches on March 19, 2019 for the PlayStation 4, the PS Vita, the Nintendo Switch, and the PC. In Europe, Marvelous is still operating with a Q1 2019 release date for now. As you can see, the PlayStation 4 version comes with a theme if you preorder digitally, and each platform save for the PS Vita version also gets some extra costume DLC for a digital preorder. 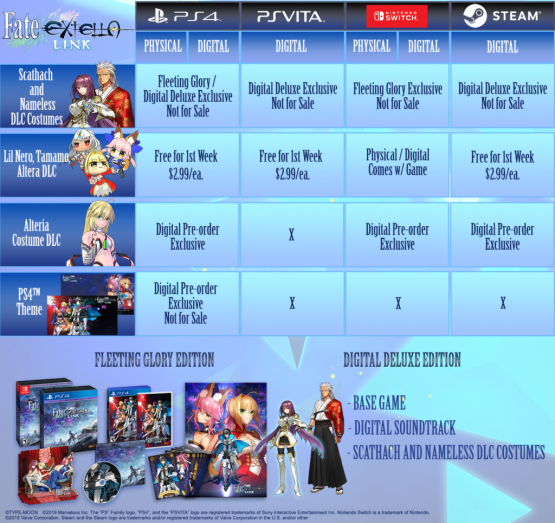 The Fleeting Glory and Digital Deluxe editions come with DLC costumes of their own, which according to the chart won’t be for sale outside of those special editions. Finally, a third DLC column will be free for the first week, but go to being a $2.99 purchase after that. However, that DLC will be included with the Nintendo Switch versions.